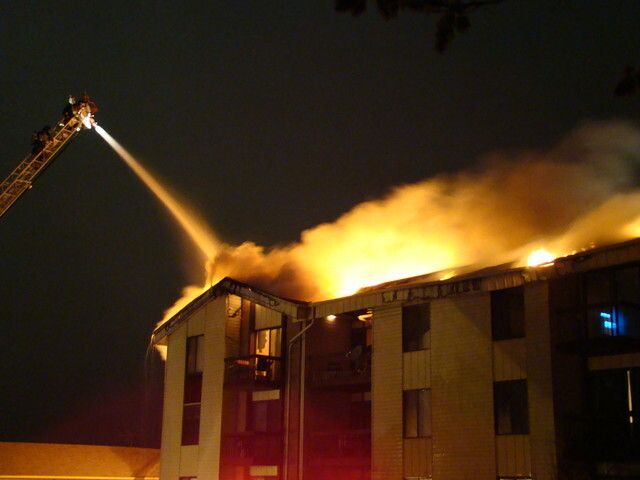 In case you missed it, there was a rather spectacular and very unfortunate fire at the Incline Terrace Condominiums last Friday night; as a result of the fire, 80 residents were displaced, and 39 units were destroyed. Here are some links to stories on the fire: KSL, The Salt Lake Tribune and the Deseret News. Fortunately, no one was killed or seriously injured in the fire. Unfortunately, a few pets were apparently not rescued, and a number of unit owners (and renters) were without insurance for the contents of their units. The photo was taken by Jason Denney, and posted on ksl.com. ← The Collapse of Communism? In a condo/PUD complex does the Utah Clean Air Act allow for the association to prohibit smoking in units and/or outside within the association? My understanding of the code is that it can.